It is a wonderful thing to see our sound proofed booth being used on a daily basis by the school audiologist Mr Shibanda and all the wonderful audiologists who travel out from Addenbrookes Hospital in Cambridge. We are unbelievable fortunate to have their support and skills. We were absolutely jubilant when, in November 2014 the long awaited for sound proofed booth was released by Customs at the Port of Dar es Salaam. This has taken a mammoth effort, mainly by Judith, to get all the necessary paperwork approved. At last the truck rolled into the Buguruni school grounds and the men arrived to unpackage and erect the booth. 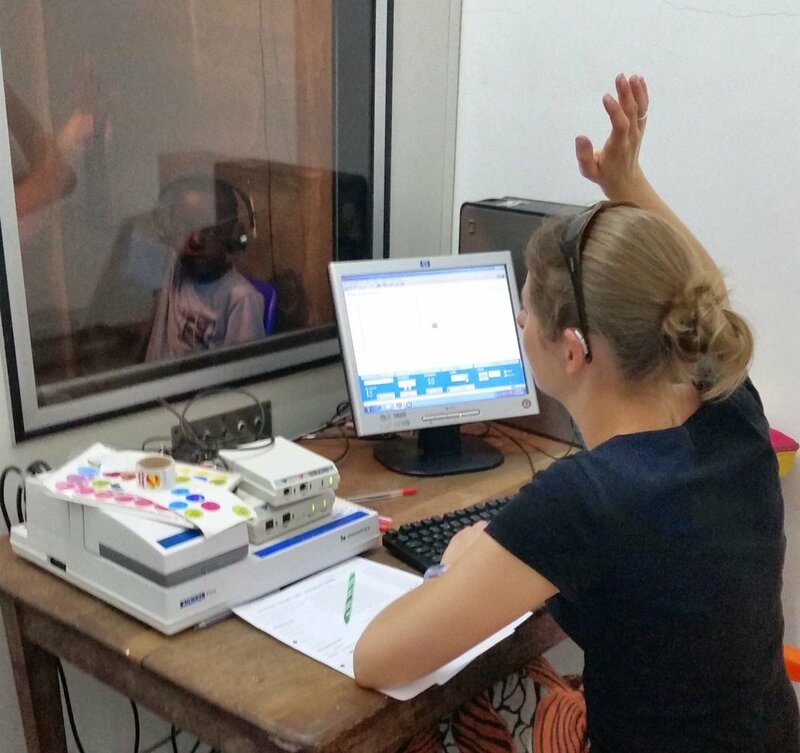 We are very excited, as is Mr Shibanda our audiologist who will now be able to test children's hearing without the background noise of planes overhead and traffic in the road outside. We will post photos as soon as the booth is up and running.